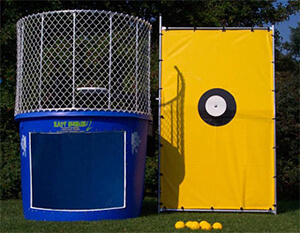 Try organizing these types of activity for family reunions, charity events and school events. Relay races are not only a great way to perform athletic activity, they’re great for team building skills, team spirit and agility testing. Here are a few ideas taken from various resources for you can incorporate in your next event. Don’t forget to include an obstacle course as part of your racing. First break down your teams. Appoint a captain who is committed to motivate the team when the going gets tough. If you have the budget and want to provide shirts made, then contact a T-shirt making place ahead of time. Places like VistaPrint.com can be cost efficient when purchasing shirts in bulk. If you are a last minute planner, then check places like Walmart and Target and buy plain colored shirts for you to identify teams. Next explain the rules of the race. This is important so everyone can understand what things they can become disqualified for and what they need to do to win. The Three-Legged Race: One person ties his left leg with another person’s right leg. They work together to run or walk (or stumble??) to their goal and back. Strap the legs together at the ankle or calf with a strip of fabric, bandana or stretchy nylon. These ideas are just a few, but these are some really good ones. If you’ve decided to incorporate an inflatable obstacle course like the one with Orb Balls or Wipe out, you can make this a station and have several other races going at the same time. These types of activities are loads of fun, they’re enjoyed by both kids and adults because they’re entertaining. The best part of having a relay race event is having it outdoors where fresh air meets good times. 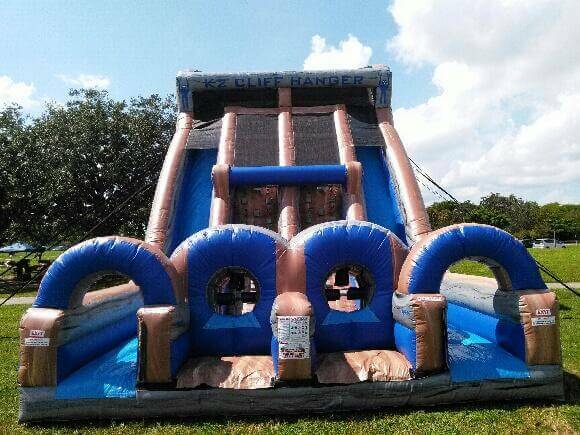 If you live in South Florida (Palm Beach and Broward County) and you need party rentals or bounce houses for next party, charity events or school event give us a call today. 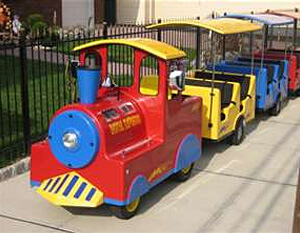 We have so many bounce houses to choose from and for parties, we have dunk tanks and even a trackless train for kids.